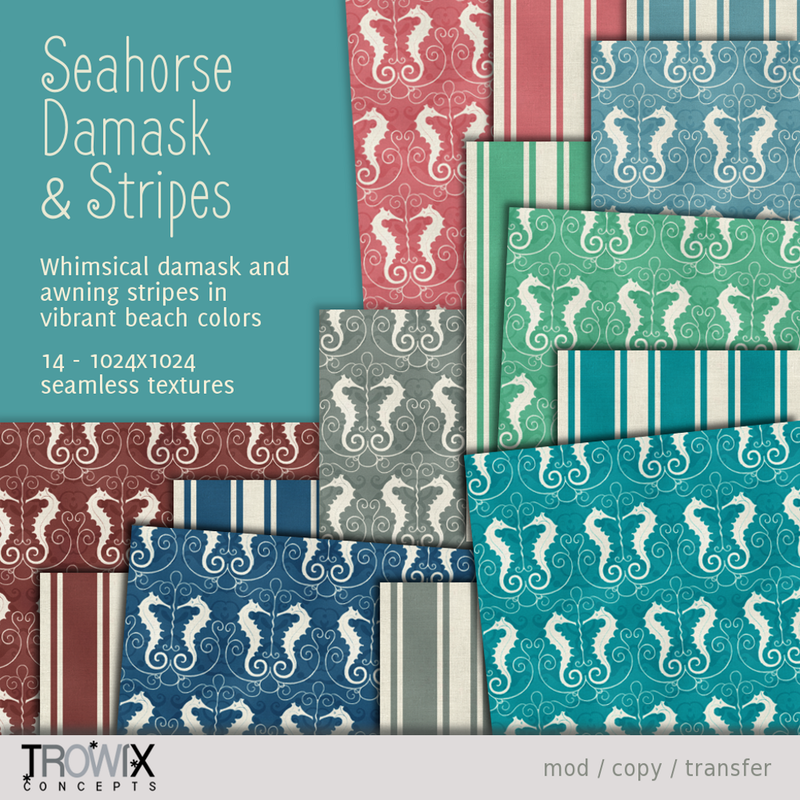 Still gearing up for summer with 4 pretty damask patterns in 7 colors each just slightly worn and antiqued. Soft summer pastels for a sweet variety in summer building. 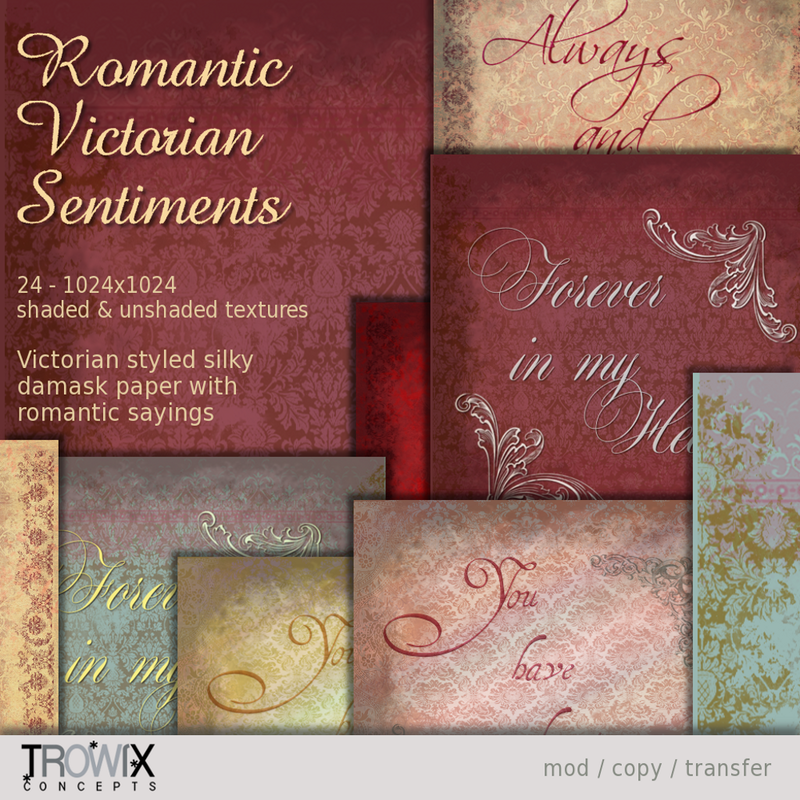 Subtle summer colors on tiled & floral damasks. 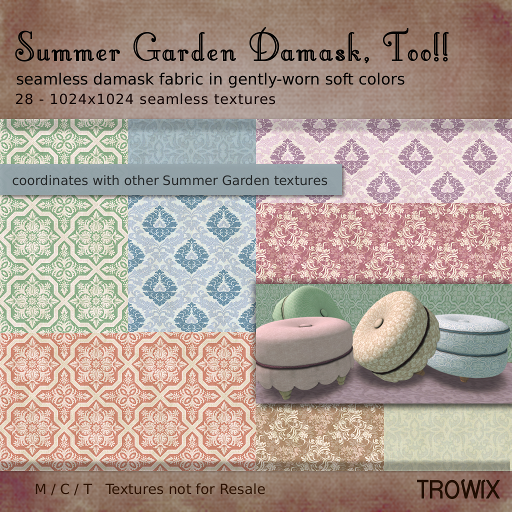 Summer Garden textures used on our footstool sculpt. Lots of comfort & cuteness just for you! 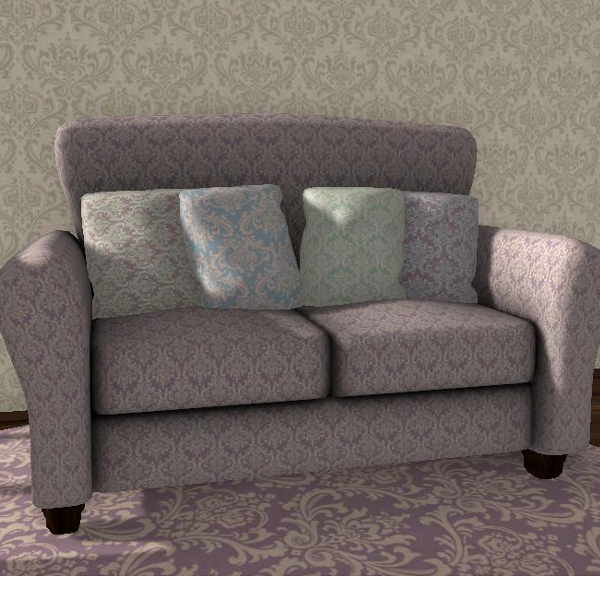 A classic seamless floral damask fabric pattern very slightly antiqued and faded. 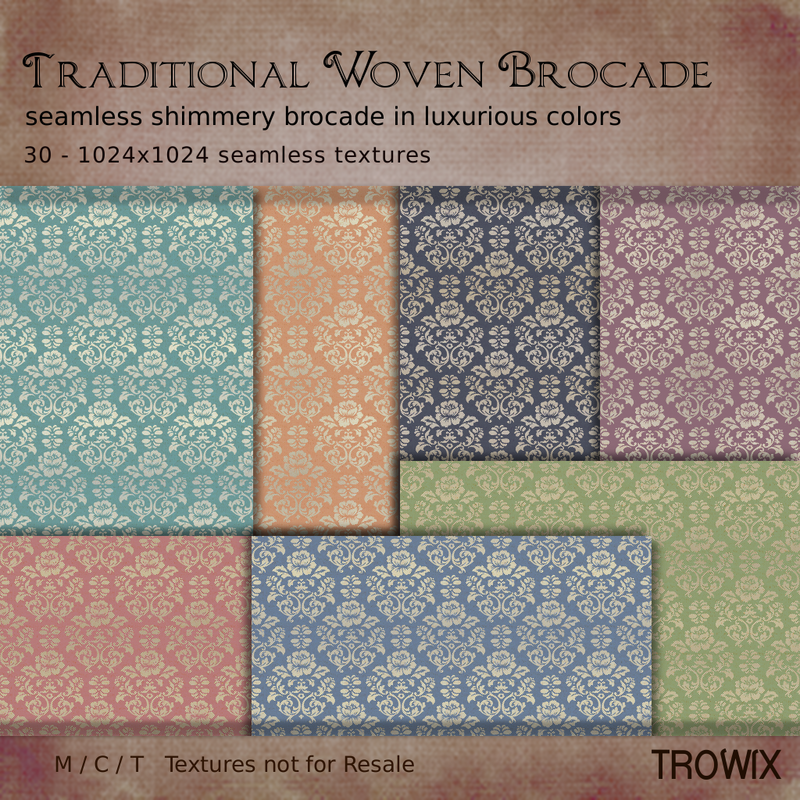 Muted traditional and edge-y colors make this a go-to texture pack for a variety of decorating styles. 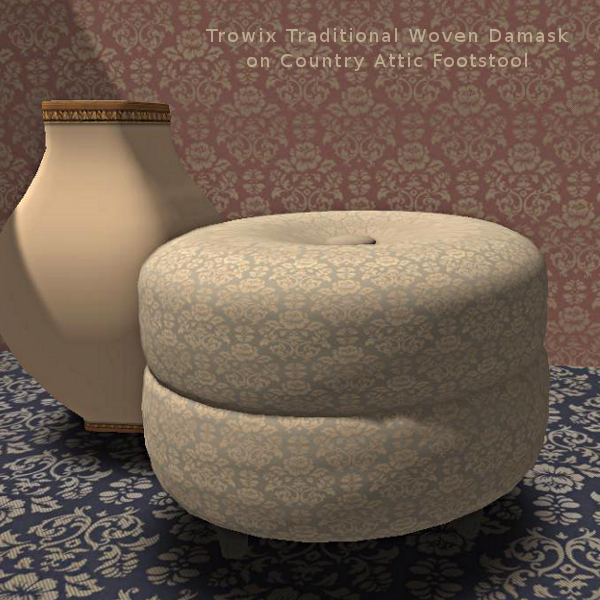 Elaborate and elegant, but still perfect in casual settings, too! Soft as a Summer breeze. 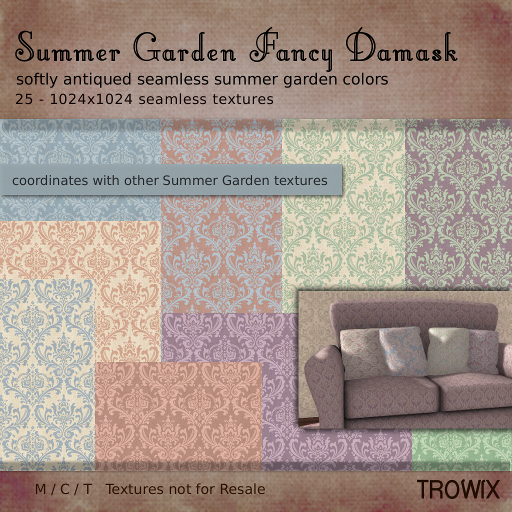 Romanticize your garden with damask. 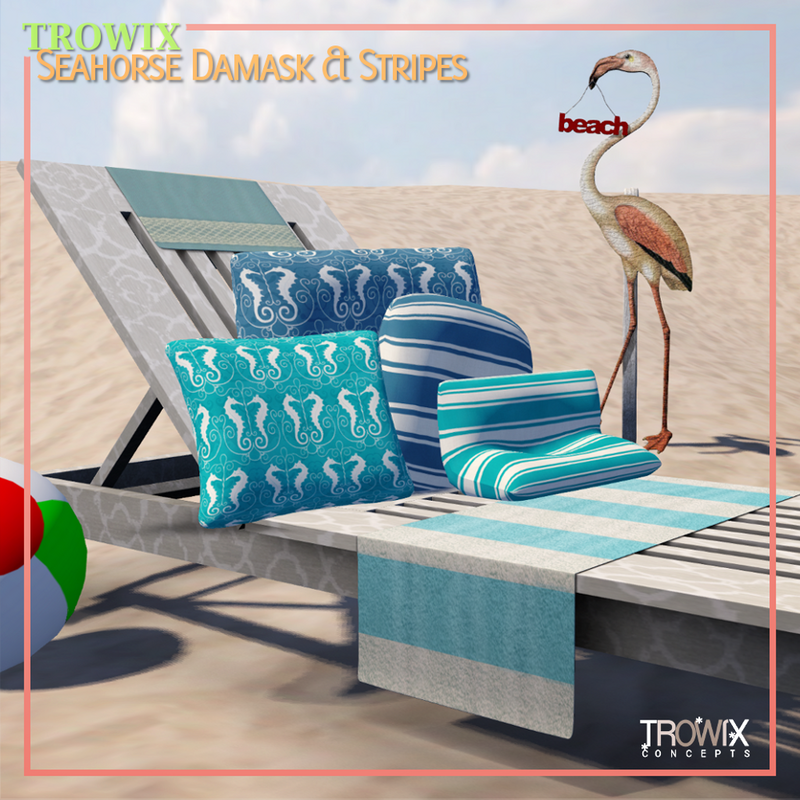 At the Trowix Barn or with a special delivery from SL’s Marketplace.